This technique is very simple to do, costs basically nothing and can help eliminate dry rough skin all over the body. 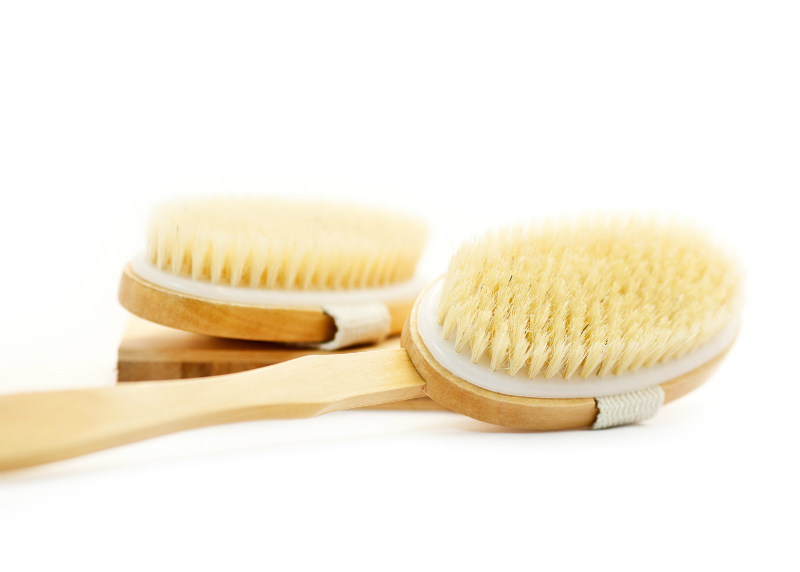 Dry skin brushing is an excellent exfoliation tool creating radiant and vibrant looking skin removing dead cells from the surface of the skin, allowing for cell renewal and better absorption of moisturizers. toning the muscles and improving digestion? Tones the muscles, tightens the skin. 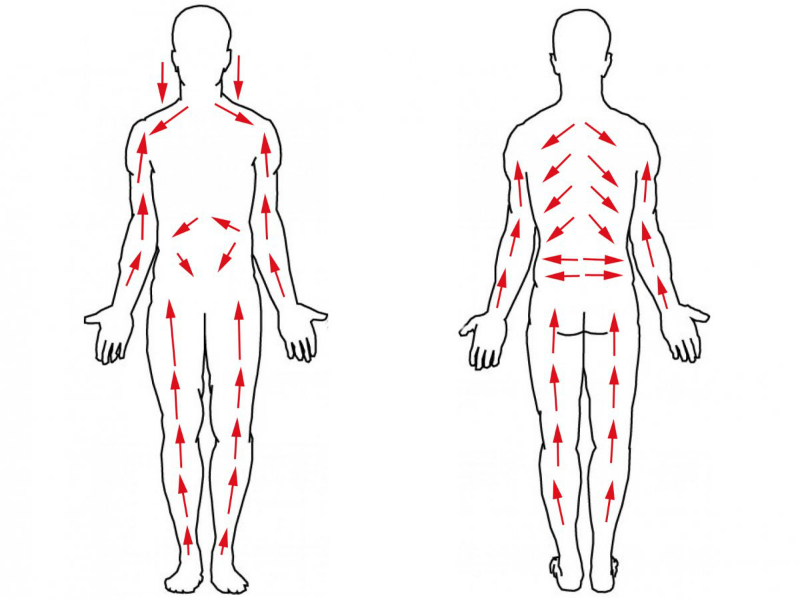 How often should you do a dry skin brushing on your body? Once or twice a week before you bath or shower. This technique only takes about 10-15 minutes to do so either in the evening or on the weekend when you have a little more time will be most beneficial. What kind of dry brush to purchase? Purchase a brush with a long handle, so that you are able to reach all areas of your body. Best-case scenario would be one that the handle is removable so it is easier to do the legs and arms. The bristles should be natural, NOT synthetic, synthetic bristles can scratch and irritate the skin. The bristles may feel a little firm at first, but your skin will get used to it over time. If you have very sensitive skin, you may want to start with a softer brush. These brushes can be purchased in the cosmetic department at your local pharmacy or I have seen them at Walmart for example. When is the best time to use a dry brush and is there a certain technique that is used? Brush your dry body before you shower or bathe. Start at your feet and always brush toward your heart. Use long, even strokes in one direction only always towards the heart. Brush lightly on sensitive areas and more firmly on areas like soles of the feet. Finish by taking a shower or bath. After your shower or bath dry off and massage your favorite oils or lotions into your skin. I guarantee your skin will feel like velvet and feel and look much healthier. Newer PostLotion, Cream or Ointment? What’s The Big Difference? Older PostIt’s Cold. Look Hot...Naturally! !